Kitchen Faucet Ideas – A big change with a big budget is not always a necessity when it comes to remodeling a kitchen. 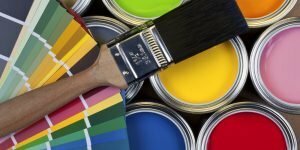 With small change that can significantly alter the look and feel of your kitchen, you can actually skip wasting much of your money, time and energy to make your kitchen look different. One small and relatively inexpensive change that you can do to your kitchen that can improve its atmosphere is changing its faucet. Kitchen faucet often sits at an insignificant corner of your kitchen above the sink, yet its shiny look and stylish design, paired with the clean and unusual look of modernity, will make your kitchen look and feel different. 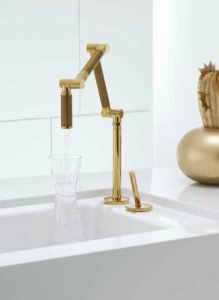 Here I will show you ten great ultramodern kitchen faucet ideas that will drastically change your kitchen’s atmosphere. 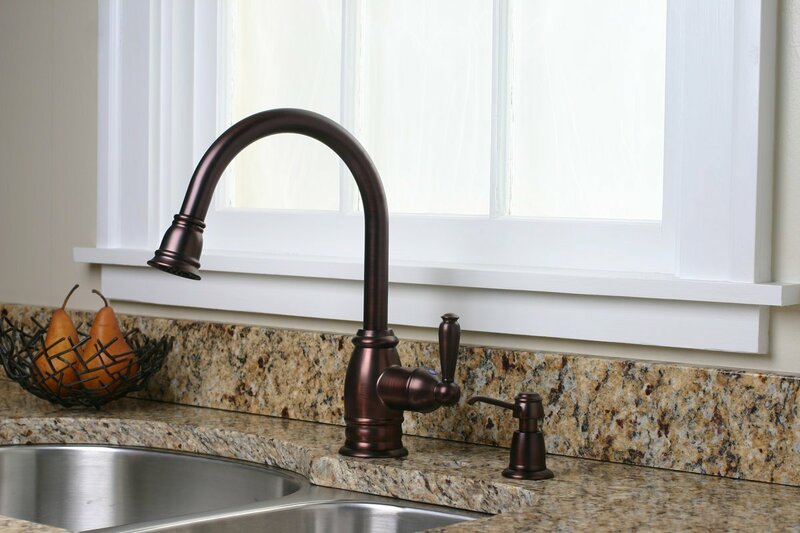 A kitchen faucet has always been taking the shape of a metal hose with its tubular design. If you want to break the tradition, you can replace your tubular faucet with a slim and flat faucet. The change will immediately appear not only on the faucet, but also on the water that flows through it. Because water adopts the shape of its container, you will see the slim and smooth glass-like shape of the water when you turn on the faucet. Cool, isn’t it? 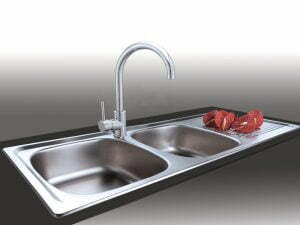 Flat kitchen faucet is available in various materials. Steel with its clean look is preferred for a modern kitchen, but other more classic materials are also available. In a modern kitchen, minimalism creates style. To make a big change in a modern kitchen, sometimes what you need to do is to add a small and minimalist element. A kitchen faucet like the one you see in the picture doesn’t incorporate too many decorations in its design. In fact, it looks plainer and blander than the majority of kitchen faucets you often see in a home décor store; however, this plain and minimalist look is actually the strongest feature that makes it a perfect choice for your modern kitchen. 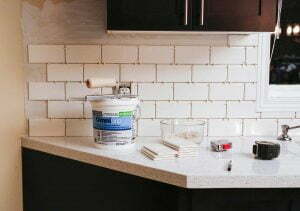 Get it installed in your kitchen and allow its subtle look to make a big change in your kitchen. A kitchen faucet with a spring coil vining around it has become increasingly popular choice nowadays. 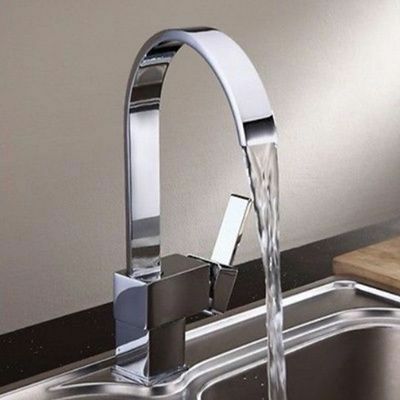 The coil actually has insignificant function, but its look greatly improves the cosmetic feature of the faucet. The chrome coil also enhances the modern look of the faucet and consequently improves the overall atmosphere of your kitchen. Having this kind of kitchen faucet sit on your ultramodern sink is a great way to make your kitchen look and feel different. 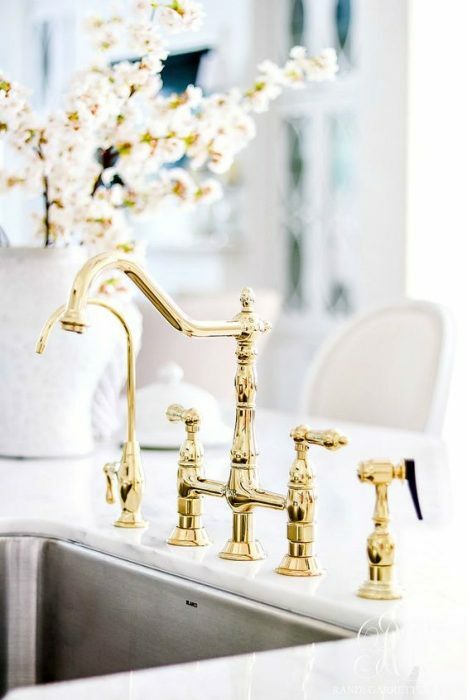 Using traditional kitchen faucet might seem to be breaking the tradition of modern interior design; however, it is actually very possible for you to use old-fashioned brass faucet on your modern sink. 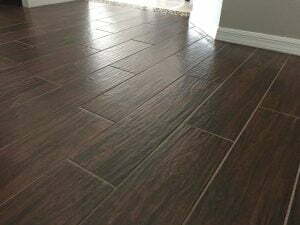 The pairing will create a rustic ambiance that is actually favored by many modern kitchen enthusiasts. 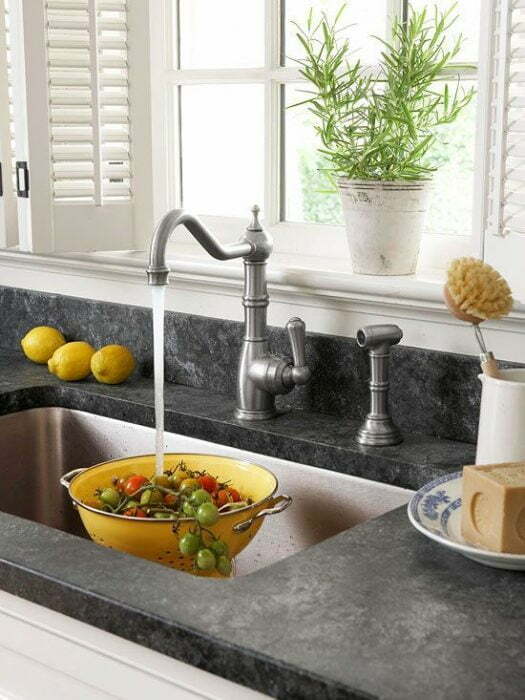 This kind of faucet is excellent choice especially if you want to apply rustic modern interior design to your kitchen. 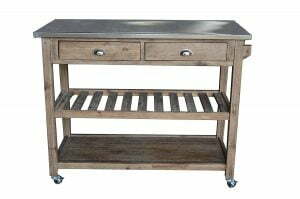 The faucet will blend well with stone countertop, large wood dining table, and other rustic elements of your kitchen. When you want to change your kitchen’s atmosphere, you certainly want the result to be as unique as possible. To create a unique design, you need to think outside the box. Using generic faucet in your kitchen is obviously out of the question. 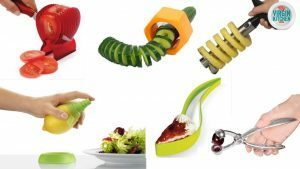 However, there are actually many more choices to choose from, so you need to be creative in choosing a unusual yet attractive faucet for your kitchen. Designing a modern kitchen should not eliminate any chances to be conservative. In fact, blending conservative and modern designs together is a perfect way to bring both past and future in your kitchen, thereby creating unique atmosphere that makes your kitchen even more enthralling. Search for all available vintage kitchen faucets that will look perfect in your kitchen and try to make your kitchen look different with one of those faucets. The most straightforward way to design an ultramodern design is—well—installing ultramodern elements on it. 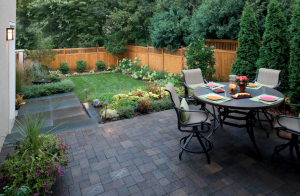 Modernity has introduced a lot of breakthroughs in both design and functionality. 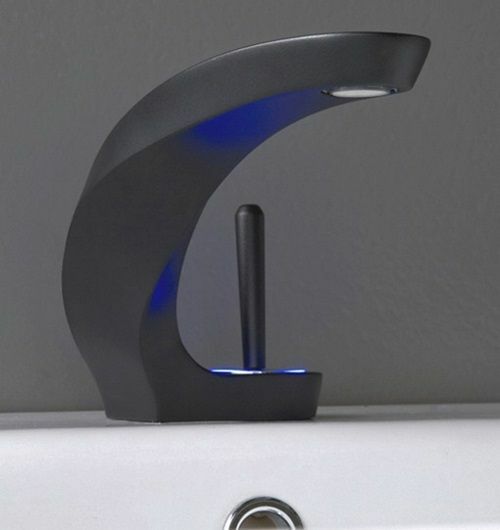 Modern kitchen faucets incorporate uniquely modern design and function by introducing led lights, electronic switch for warm and cold water, handle-less structure with motion sensor, et cetera. If you truly want to have a modern kitchen, embrace such modernity and make every component of your kitchen an ultramodern one. You can be conservative or embrace the modernity when you are remodeling your kitchen, but do you know that the transition between both extremities is actually quite interesting? 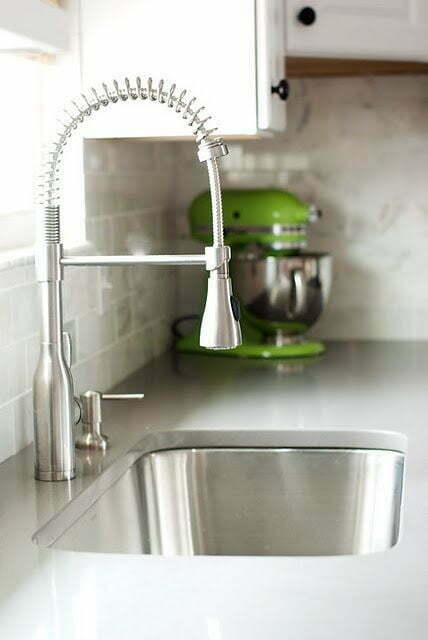 You can use a vintage kitchen faucet with some accents of modernity in your kitchen. You can also use a technologically advanced faucet with some intricate decorations on it. 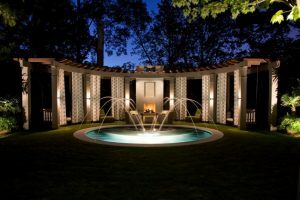 By embracing both the tradition and the modernity, you can create a design that is very unusual and very attractive at the same time. Kitchen faucet’s style is mostly about aesthetics, but if you are smart, you want to pick a kitchen faucet with functional style, i.e. a style that makes the faucet truly functional. 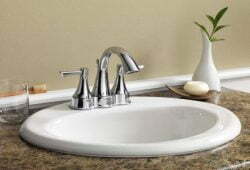 A faucet with round and elliptical tube like the one you see in the picture is a good example. 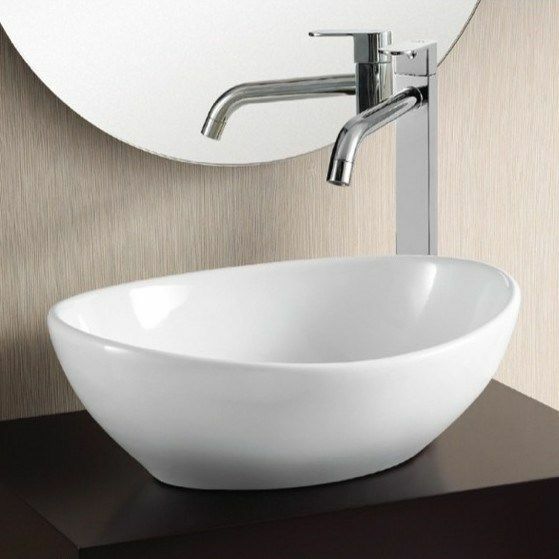 The faucet’s style not only makes it look bold and attractive, but also makes it convenient to use. Curvy design always looks attractive. Curves create elegance and beauty and their smoothness improves safety, durability and functionality. 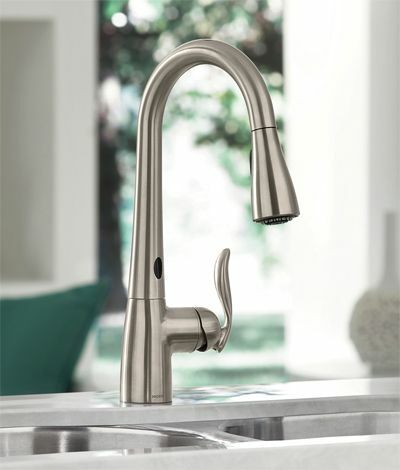 A curved kitchen faucet will thus become a great addition to your ultramodern kitchen. 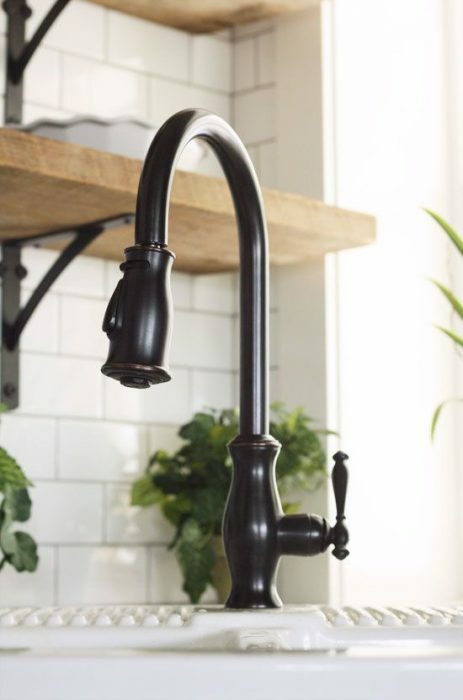 With so many choices available, it should be easier for you to choose the right kitchen faucet for your kitchen and to change the atmosphere of your kitchen with a subtle touch. Take every cool idea explained here into consideration and choose the best faucet design for your kitchen.